Whatever the size of your business, up to date core financial information is key. 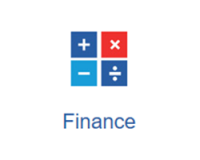 The financial suite helps you manage cash flow efficiently, have instant access to management reports while being able to integrate seamlessly into Microsoft Excel. With full multi-currency, EC VAT and VAT100 returns the solution will grow with any business and help reduce costly man hours by automating reports and scheduling tasks.